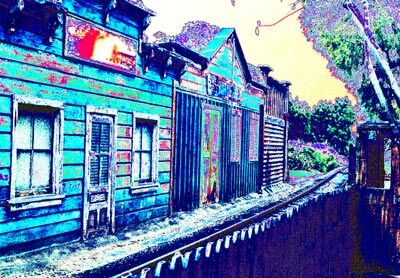 This webpage is for the FINAL DRAFT that was supposed to be released in 2010 with the American Zen album, LEVEL 4 = KUNG FU COWBOY PART 1. 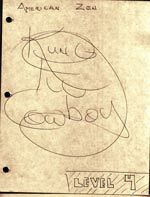 Currently, as of 2012, it has not been edited since the release of the KUNG FU COWBOY ORIGINAL DRAFT book. The KUNG FU COWBOY ORIGINAL DRAFT book was released instead, during early 2010 and parts were rewritten to make it legible and enjoyable reading. During 2012, Coyote began writing the book for LEVEL 4 = Kung Fu Cowboy Part 3: STONE ROSES. This book/screenplay takes place in ancient Persia. The screenplay for LEVEL 4 = Kung Fu Cowboy Part 2: 3rd DEGREE MASTER MASON is ready along with the new book for Part 1: KING SOLOMON'S TEMPLE which both feature King Solomon. Someday, Coyote hopes to come back and transform this original version of the Part 1 book into a beautiful poetry book with hundreds of photos detailing his Kung Fu life since 1980. Until then, purchase the "ORIGINAL DRAFT" book (without the photos). The rough draft, handwritten version of this book, KUNG FU COWBOY ORIGINAL DRAFT, is currently available. It details the evolution of the LEVEL 4 albums by Coyote and provides an inside glimpse into the mind of The Coyote. Through the notes and sketches, we can see how Coyote plans, organizes, and creates his poetry books. 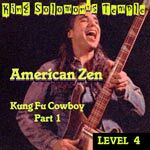 This book went through many variations before it became an entirely different storyline for the completed album: LEVEL 4 = Kung Fu Cowboy Part 1: KING SOLOMON'S TEMPLE. Make sure to get the album that this "Original Draft" book evolved into.